With Harvey floodwaters invading his home, teen Noah Rubinson had 10 minutes to collect the things most important to him. 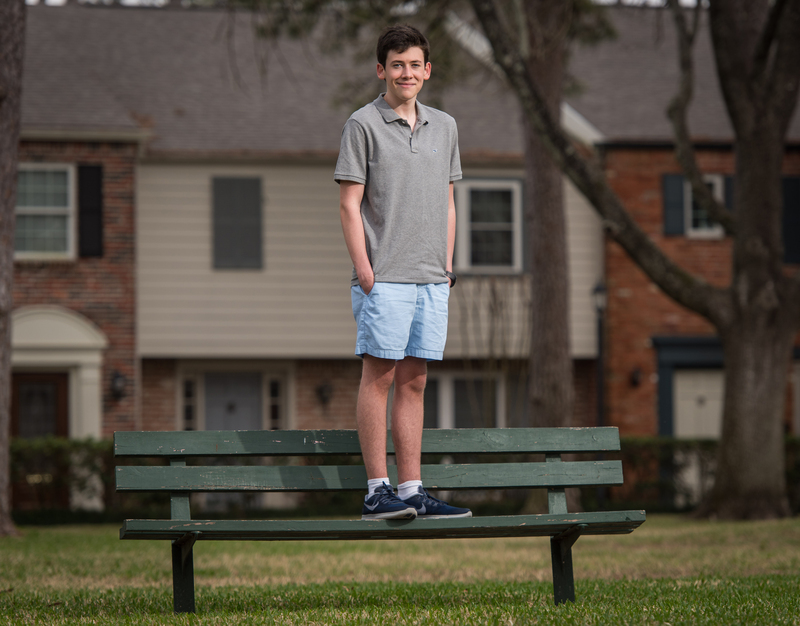 His written reflections during that short time span earned the Kinkaid High sophomore a distinguished award from Scholastic Art & Writing Awards Regional Affiliate Harris County Department of Education. As an American Voices nominee, he and four other students judged out of 2,000-plus writing entries receive a best-in-class award for writing. One will receive the national American Voices Medal judged by a panel of jurors in New York City. Rubinson also earned a regional Gold Key from local affiliate HCDE, making him eligible for an additional national medal. His English teacher Jennifer Kehler saw promise right away in her student’s class assignment, a personal narrative. It was the first writing homework for flood-shocked students as they returned to the refuge of their school community post-Harvey. Rubinson, 16, wrote about the items he reached for after his father announced an abrupt, early-morning evacuation of their condo-home situated in zip code 77024. The Memorial-area neighborhood experienced controlled flooding two days after the hurricane flood waters had receded. The murky water began rising downstairs on Aug. 30, 2018, just as the Rubinsons thought they had escaped Harvey’s wrath. Interrupting his thoughts on material items was a call to action to help a sister with developmental delays who suffers from debilitating seizures. Undoubtedly she would depend on her brother’s calm demeanor to guide her from harm’s way. A friend with a boat helped the Rubinsons to dry ground less than a few blocks away. But they would not return to their home. Like many other Houston-Harvey families, they opted for new housing. The experience still seems surreal to Rubinson, and the American Voices award was just as unexpected. His work will be recognized regionally by Harris County Department of Education as students, teachers and family attend an awards ceremony on March 20 at the Ballroom at Bayou Place, 500 Texas, Houston, Texas. As regional affiliate, HCDE is responsible for judging the awards through volunteer writing professionals. Community partners like the Women in the Visual and Literary Arts and Texas Art Supply provide local scholarships. Gold Key and American Voices nominees like Rubinson advance to national judging through the Alliance of Young Artists & Writers team in New York City for additional awards and scholarships announced in mid-March. Like any proud parent, Mom Kim posted her son’s story and award announcement through social media. People reading the story were touched to tears by the teen’s maturity and attachment to the immaterial things in life. The teen writer says the award is for everyone in Houston who weathered the storm of the century. Learn more about 2018 Scholastic Art & Writing Regional Affiliate Harris County Department of Education recipients : www.hcde-texas.org/Scholastic . Photo: Noah Rubinson stands on a bench to demonstrate the depth of the Harvey floodwaters outside his home. The murky water rose to the top of his head.